Cornwall is situated on the South West of the United Kingdom. It is approximately 90 miles long and because of its shape, you are never more than 20 miles from the sea. The River Tamar runs along the whole border with Devon apart from a few miles and this is also a symbolic barrier. Cornwall is proud of its Celtic heritage and traditions with a colourful and occasionally controversial history. With almost 200 miles of coastline, the Sea has an enormous influence on Cornwall with a strong history of fishing, (for many years, Pilchards were the major catch), trading and smuggling. 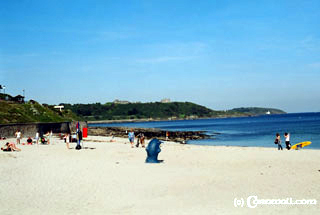 The fantastic sandy beaches have turned these fishing ports into desirable holiday destinations and although Newquay is by far the largest and best known with all the accompanying restaurants / night life, there are many more beautiful beaches that are less popular that have holiday accommodation nearby. The land is mostly granite which has given Cornwall major deposits of Tin and Copper, the mining of which put it at the forefront of the industrial revolution. During that period, Cornwall not only exported its minerals, but also its technology and people to the rest of the world with a number of mines in the Americas, South Africa or Australia all having Cornish connections. The remnants of this industrial period are everywhere, but instead of being a blot on the landscape, time has mellowed the presence of these Engine houses giving Cornwall a special unique quality. 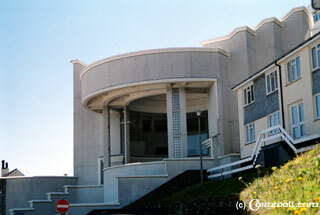 Because of this, Cornwall was designated a Unesco World Heritage site in 2006. The predominant winds of the UK are from the South West with the Gulf Stream bringing the warm winds of the Caribbean and with it. Cornwall like the rest of the West Coast of has slightly higher rainfall figures than the East of the UK mainland. The combination of the mild temperatures and rainfall makes it an ideal place for vegetation and Cornwall also has a strong farming tradition of growing vegetables, fruits, flowers and has a major dairy industry. It also has a strong horticultural tradition that has been helped by its maritime connections with the importation of exotic plants resulting in Cornwall having a number of major gardens that are the envy of the UK. 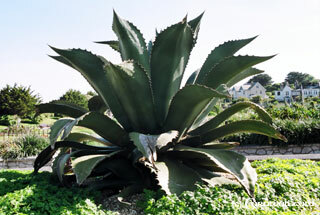 The Eden Project is the best known, but it is just one of many horticultural attractions for visitors and local people. Cornwall's dramatic coastline has also attracted a number of artists, potters, sculptors and other creative people and there are a number of galleries to visit with the best known being the Tate Gallery in St Ives. More recently there is a renewed enthusiasm for cuisine with Celebrity Chefs Rick Stein and Jamie Oliver owning two amongst many other quality restaurants making use of the fantastic local ingredients. To conclude, Cornwall has something to offer everyone including fantastic sandy beaches, exciting night life, high cuisine, invigorating coastal walks, Iron Age Monuments, Mining / Folk Museums, Family Attractions and Modern Art Galleries. It is also ideal for Sailing, Surfing, Cycling, Fishing and Bird Watching. 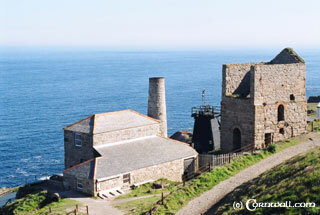 Within Cornwall.com we hope you will find something to interest you, help you plan and enjoy your visit.